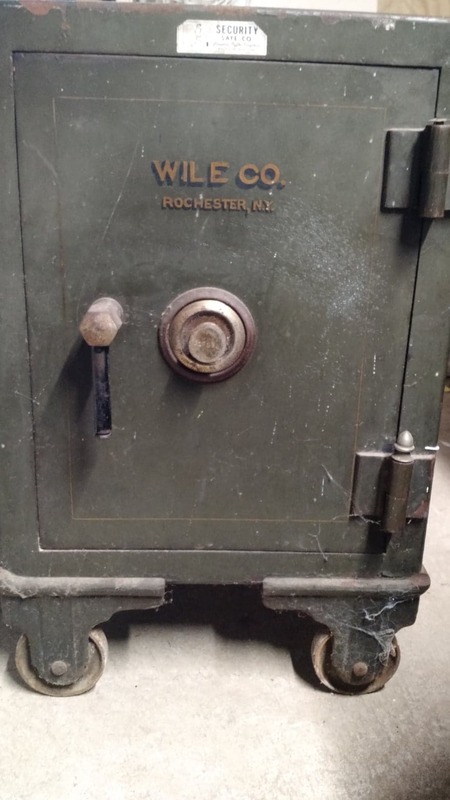 Dark Green safe came with purchase of our home. Looking for how to get it open without damage and if it has any value. Says WILE CO. Rochester, NY on it. Number engraved on the safe combination lock knob is 317184. Dimensions: almost 18" W x 22.5" H (box only) or 28.75" H (with wheels, ground to top of box) x about 20" D. It is very heavy, needed 2 guys to stand it upright, then easier to move on wheels. Located in Rochester, NY. Thank you for any information you can provide.